Skytrax has released the results of its annual list of “10 Best Airports in The World” and, once again, Singapore’s Changi Airport has taken the top spot. Check the annual World Airport Awards. Mostly winning airports are located in Europe and Asia and only one from North America. The 10 Best Airports In The World. 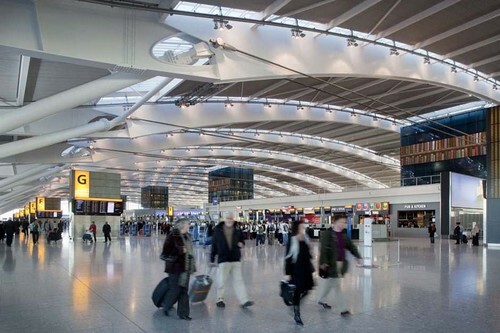 The third-busiest airport in the world 2011, London Heathrow Airport, earning its place on the list largely due to its highly-regarded Terminal 5, which opened in 2008. Heathrow’s Skytrax review includes four or five out of five-star rankings for ease of use, flight information, public transport, security staff efficiency, and more. The least busy airport in Skytrax’s top 10, finishing in eighth place overall in the voting of best airport. 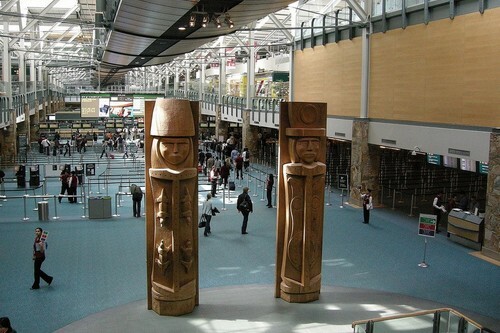 The Vancouver International Airport is the only North American representative on the list of Best Airports in the world. 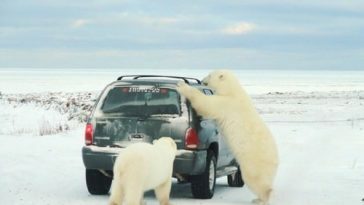 Volunteers, known as green coat ambassadors, help travelers get to where they’re going. Skytrax named it the Best Airport in North America for the fourth year in a row in 2013. The largest international airport in Switzerland, Zurich Airport was significantly expanded in 2003 with a new terminal and an underground automated train called the Skymetro, which shuttles travelers. Located seven miles north of Zurich’s city center, it also ranked highly in Skytrax’s airport security processing, immigration, and dining categories. Zurich Airport also earned the 2014 award for Best Airport Staff Service – Europe. The Beijing Capital has rapidly ascended in rankings of the world’s busiest airports in the past decade. It had become the busiest airport in Asia and second busiest in world. To accommodate the growing traffic volume, Beijing Capital added the enormous Terminal 3 in 2008 in time for the Olympic Games, the second largest airport terminal in the world after Dubai International Airport’s Terminal 3, and the sixth largest building in the world by area. Haneda Airport won Skytrax’s award for World’s Best Domestic Airport, and was commended for shopping, security processing, and cleanliness. The airport is a new entry in the top ten list of Best Airports in the world, it moved up five places from its 2012 position. It was also recognized by ForbesTraveller.com as the most punctual airport in the world for two years in a row, with 94.3% of its flights departing on time and 88.6% arriving on time. Schiphol opened in 1916 as a military airfield and has transformed into one of the busiest airports in the world. For the first time since the Skytrax awards were issued, Schiphol broke into the top five finishers, largely due to its highly-regarded and efficient self-service transfer process. According to Skytrax, Schiphol also has excellent dining, shopping, and leisure options. Schiphol also earned top honors for Best Airport in Europe. 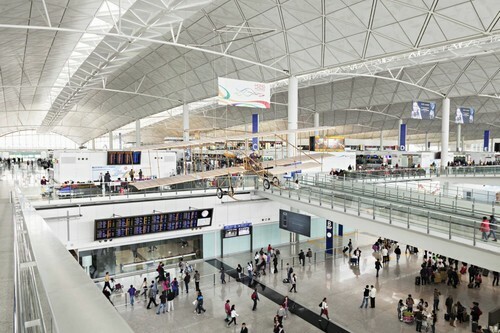 A third-place finisher last year, Hong Kong International Airport slipped to fourth place in the overall voting for the Best Airports in the world. Located less than five flying hours from half of the world’s population, is one of the busiest airport. It was named the best airport for dining and baggage delivery, and ranked among the top airports for cleanliness and shopping. Germany’s second busiest airport in terms of passenger traffic. It features aesthetically pleasing terminals on the walk to the gates. Many of the walls and ceilings are made of glass, making the airport feel large and open. The airport is seventh busiest airport in Europe, handling 38,360,604 passengers in 2012. It is the world’s 12th busiest airport in terms of international passenger traffic, and was the 30th busiest airport worldwide in 2013. This is currently Asia’s eighth busiest airport in terms of passengers, the world’s fourth busiest airport by cargo traffic, and the world’s eighth busiest airport in terms of international passengers. It is the largest airport in South Korea, serves passengers on more than 70 airlines, and is one of three airlines to receive a five-star overall rating from Skytrax. Every year from 2005 to 2012 it was rated top among the best airports in the world by Airports Council International. 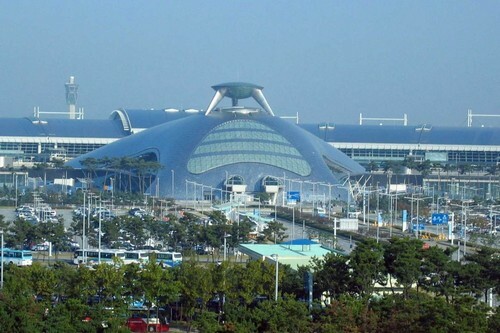 The young airport is home to a museum of Korean culture, and has excellent rankings for cleanliness, external views, rest areas, Internet access, and local-food choices. Changi Airport in Singapore has been voted the World’s Best Airport by air travelers for the second year in a row at the 2014 World Airport Awards, held at Passenger Terminal EXPO in Barcelona, Spain. The airport has won over 430 awards since 1981, including 30 ‘Best’ awards in 2012. In addition to winning the top overall award, Singapore Changi Airport was named Best Airport in Asia and Best Airport for Leisure Amenities. The Airport designed to alleviate the stress of travel, and it offers passengers the opportunity to enjoy lots of greenery, an outdoor pool, and a butterfly garden. For those who prefer to stay inside, it houses movie theaters, spas, showers, and a four-story slide.